Tuesday last week, the British parliament took another debate about the Brexit, including a new round of ballots in an attempt to find a way forward, though that didn’t change much. Most likely, many already have an opinion whether the Brexit is the right step or not. 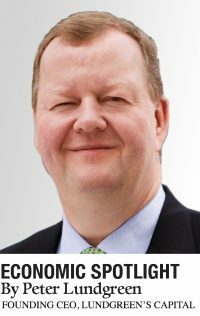 From a financial market’s perspective, I regard the Brexit as a change in the overall condition when assessing opportunities and risks in the financial markets – in this case, in the United Kingdom. The British voters have chosen a Brexit, so the financial markets, investors, companies, etc. will continue working under these new conditions. Changes in the overall framework should not be feared of, as they will always take place, though they can of course be of great magnitude, such as if one chooses to exit from an investment, or perhaps an entire market / country. Since the Brexit vote in 2016, I have argued that as soon as there is a clarification on how the EU and United Kingdom choose to live together, investors and companies will again, look at opportunities and investments in the UK. Though the lack of British direction is a growing challenge. The latest parliamentary debate and votes just confirmed that Prime Minister Theresa May does not have her own conservative group against her- nothing more, nothing less. 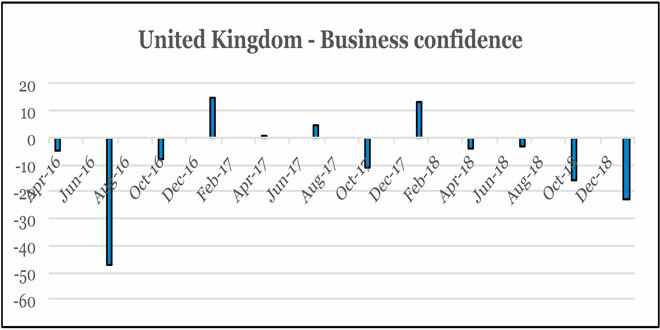 My previous assessment of opportunities in the British stock market has been clearly positive, especially as asset managers around the world continuously lower their allocation towards the UK. Further, I have argued that the pound sterling would rise by about 10 pct. after the political clarification between the EU and UK, and of course, a plan on how the Britons plan to move forward. This task was given by the electorate to the British politicians- who unfortunately have not yet solved their assignment, despite the fact that it should have been settled long ago. The positive effects after a clarification, like an upbeat UK stock market, now start to come seriously under pressure. As the graphics show, confidence among both consumers and companies dropped significantly during the recent months. When exploring the stock market, the consequence is that a narrower spectrum of companies will be interesting for investors. In other words, a bigger part of stock prices must correct downwards again, before they are attractive, which is the financial market’s expression of increasing uncertainty. I still maintain the view that there are reasonable opportunities in the British stock market (following a clarification between the EU and UK), but I am aware of the increasing uncertainties. The growing uncertainty also results in unknown economic reactions after the Brexit. One example is the current growth in inventories on both sides of the English Channel. Once the EU and UK finally have agreed about the Brexit- or not, it is likely that the inventories will be reduced again, which can result in a setback for the GDP growth. But the whole dysfunctional political process surrounding the Brexit confirms another growing concern that in my view happens in the shades of rising political influence on the economy. A parliamentary election sometimes surprises, and results in a different outcome than expected by the financial markets. This generates some turmoil in the financial markets for a period of time, but investors are aware that this situation arises now and then. However, several recent examples suggest that the financial market increasingly needs to worry about parliamentary elections and other nationwide ballots. After President Trump lost control of the House, he decided to take the American economy as hostage by partially shutting down the country’s public administration to enforce the construction of a wall at the Mexican border. Like how political leaders in Britain have put the country’s economic growth at risk, due to political infight in the parliament. In 2016, Spain was without government for 10 months, and after the German parliamentary elections in September 2017, it took until March 2018 before a new government was formed. It ended-up with a copy of the government that the voters clearly had opted out, but Chancellor Merkel failed, or didn’t want to form a new tripartite government that the voters wanted. This development is worrying, because it contains a risk of dissatisfaction among normal voters, which again can damage the economy. It even indicates that the politicians do not respect the outcome from the elections. 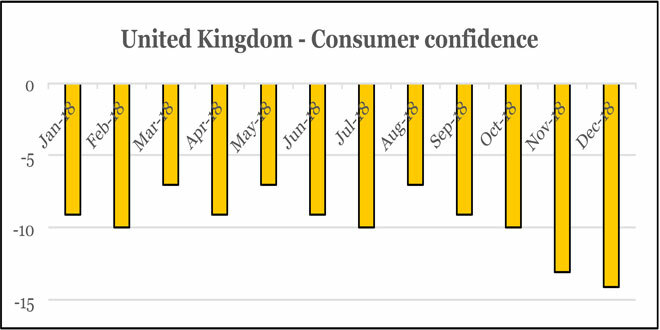 In addition, the long periods without political direction and management can contribute to increased uncertainty among consumers and companies, as seen now in the UK. It is in newer economic/political history financial markets generally fear changes such as general elections, but as it is now starting to become a risk, it leads to the thought about ​​when the next large election will take place. For decades, the election to the EU parliament wasn’t a big thing, but since the Eurozone and the European Central Bank play a bigger role in the global economy, the EU gets more attention. The EU is heading towards the next general election by the end of May. It’s very unclear how the voter satisfaction/dissatisfaction with the EU really is. But since the last EU election, one country has completely left (UK), and in Italy, the scepticism is obvious. The election coincides with an economic slowdown in the Eurozone, where even the German government lately had to slash the GDP growth expectation for this year to not higher than one pct. All in all, this easily can result in a muddy political situation after the EU elections, which can again increase the risk of a perceived reform-weak Europe in economic headwind – I argue it is likely that the Eurozone is heading towards a second quarter with the euro and European stock markets under pressure.